Human nature seems to like maintaining the status quo however when that is the routine deaths of 100,000 people each year linked to issues with mental health care, I can’t help feeling something can and should change. Whilst the male suicide rate was at its lowest in 2017 (since 1981 when the Office for National Statistics started) it is still the biggest killer of men from their teens to the time they should get their bus pass. In 2017, 5,821 people ended their own lives. 4,382 (75.3%) of those were male. There are many ways to tackle this and different organisations are taking different multi-pronged approaches. In fact this week sees the Mind Media Awards which does a fantastic job of promoting sensible and careful conversation of mental health in the press or on films and TV. It also rewards those programmes, journalists and producers who undertake this difficult conversation and encourage people to talk and seek help. I was very proud to be on the shortlisting panel for the awards for a third year running and as ever found it a rewarding, enlightening and humbling experience. You can watch the event live via the Mind website. One of the prongs to tackle this killer is the idea of self-care. In the ever hectic world where stress is the biggest cause of absence at work, helping people make healthier decisions can not just save the NHS millions or decrease your waist size but actually steer people away from the edge. The image of having a relaxing bath, or sitting still for 5 minutes of calm with candle or wax melt can at first feel quite… ladylike. But why should there be anything wrong with looking after your mind if it’s OK to look after your body? I asked on twitter: When was the last time you did nothing? Just focused on a raindrop, sat still, silently noticing the world around and what your senses' sense? Every vote was either 'Rarely' or 'Never'. 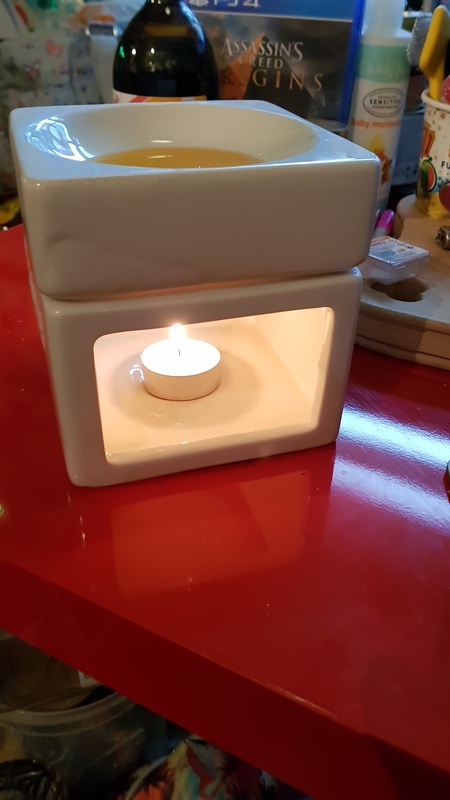 One of the ways I practise self-care is to sit still and practise some simplified mindfulness with a wax melt or a candle to focus on. How does it smell? Can you see the flicker of the flame or the wisps of fragrance raise from the pool? Taking 5 minutes to notice these things allows your body and mind to reset from the chaos that is your pinging emails, buzzing text messages and banging of children or telephones. 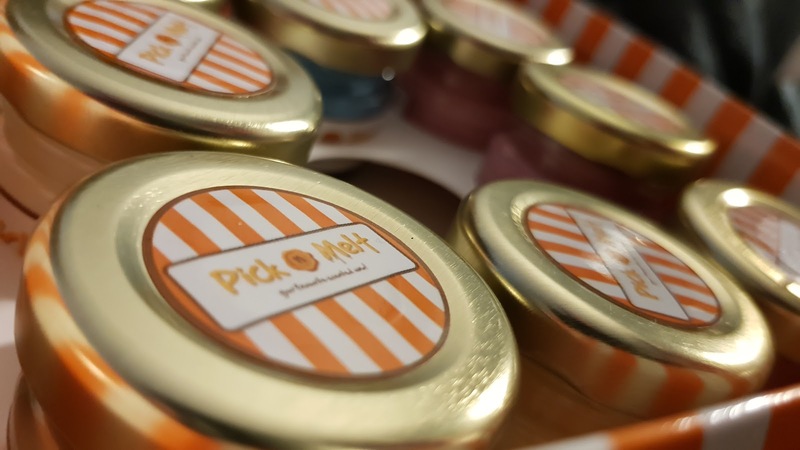 Below is a video review for Pick N Melt who reached out to me and given the nature of my blog and social media wanted my view on their products. The Mrs-to-be and I adore a Yankee Candle so went in with high hopes. It would be nice to spend some money on craft-made UK candles and wax melts? I have been blown away by the beautiful scents available and how well the fragrance remains. I've used big brand wax melts before and ended up with 'scent-less' wax lining my bin after a few hours but the 'Seville Orange' has been going for almost 35 hours now and it still smells like we've zested our own fruits right there. It's not overpowering but it is strong and lasts really well. I'm really impressed with the value of money their monthly subscription pack provides - a perfect gift for Christmas or for you to share with your friends and promote a bit of #selfcare. #BeTheMateYoudWant. Thanks for reading! Please share, subscribe and comment. Why not have a look at some past popular posts I've linked below!? #TopWeddingTips: Don't Buy Wedding Magazines! Mental Health: How does it affect loved ones? Budget Day 2016: Save our NHS. Sack Mr Hunt. Follow by Email - Get an email everytime I post! Matt Streuli. Picture Window theme. Theme images by latex. Powered by Blogger.